Sans Parade | Suddenly, without a warning. 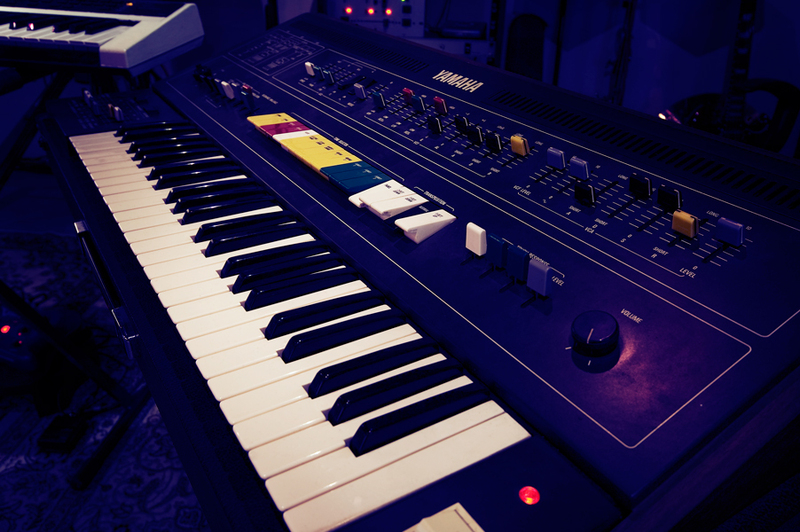 Big Yamaha CS polyphonic synths are some of the most expressive analog synths ever. Aftertouch and specially the ring modulator attack time can be used to make the synth respond to keyboard playing styles the way only a few synths can. On “Dead Trees” the chords are played with heavily ring modulated CS-50 thorughout the song. In part C the keys are held down longer so the ring modulation gets worse! On many tracks (“The End of the World 1964” for example – in unison with banjo-mandolin) CS50 plays translucent melodic lines. “One of Those Mornings” chords are distorted acoustic guitar chords with CS-50 playing fifts on the bottom. All in all, CS-50 is the most influential synth when it comes to Sans Parade’s music. Most bottom-heavy synth sounds on the album are based on this well-known wonderful gritty little box called Korg Monotron. Our Monotron is modded with CV and gate inputs and also features a filter key follow pot (located in the CV/gate breakout box). So Monotron was played on a big midi keyboard, not on the internal ribbon. Often Roland SH-09 was used as a second oscillator and feeded into Monotron filter. Sometimes Steinberg/Waldorf A1 soft synth was used for that purpose – in our humble opinion A1 is a very nice intuitive soft synth that can produce wide variety of sounds but it’s bass sounds lack the raw analog power. On “The End of the World 1964” the synth bass is gated (sidechain-gated) with the bass guitar performance by Pekka, so the resulting synth envelope is equal to the envelope of the bass guitar (the synth doubles bass guitar mostly in unison). This 1985 digital keyboard was used on “The Last Song Is a Love Song”. The Vangelis-inspired warm string pad provided more depth to the acoustic high strings. On “On The Sunniest Sunday” the only synth sound used is an occasional Casio CZ-101 driven through Alesis Quadraverb multieffect unit (probably something based on it’s “Taj Mahal” preset) so loud that the AD input of Quadraverb distorts severely. Electronic snares on “Dead Trees”. Sounds from Tama drum brain, played live on old russian drum pads and tweaking release time and other knobs live. Reverberated synth sound for example in the intro of “The Last Song Is a Love Song”. On many tracks Steam Pipe sounds double the vocals in order to fill all the space in choruses. Also long heavy synth notes in the “Swept Away” choruses are. On “From Leytonstone to Canary Wharf” the chord pad is a combination of a traditional synth pad sound and a short loop created and tuned from a London metro location recording. The track also features some more metro-themed location recordings that were heavily treated with Native Instruments products. Some strident high notes, on “Dead Trees” for example. An interesting piece of software that doesn’t go the boring old substractive-synth-emulation way. Also some unusual and unique convolution reverbs were used to treat traditional acoustic instruments but that’s maybe a topic for another post! 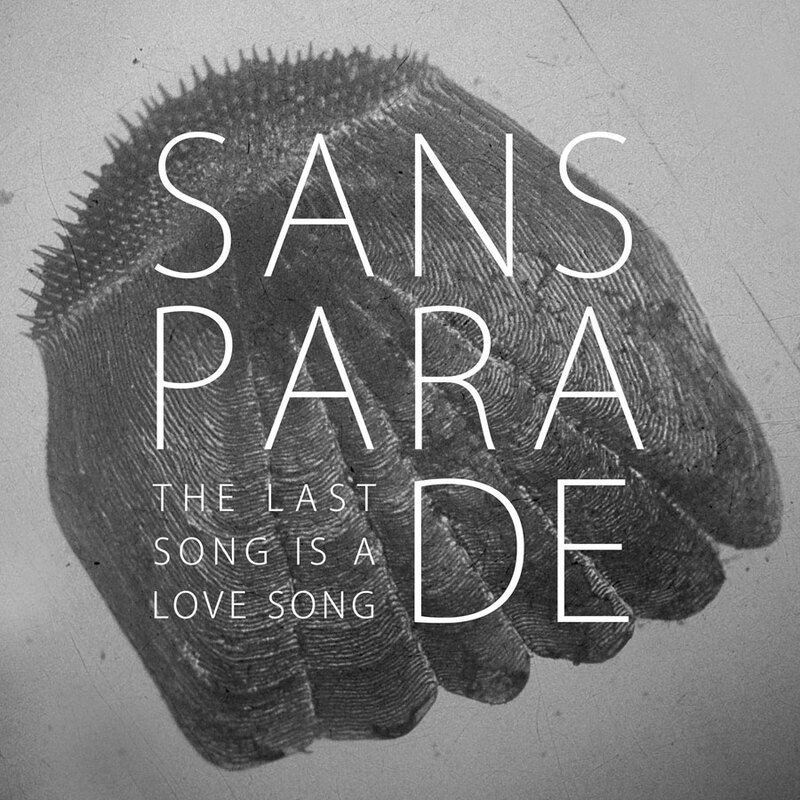 Sans Parade’s first single includes two very different songs: “The Last Song Is A Love Song” and “A Ballet In The Sea”. We thought that it might be of interest to read about the stories behind the two songs (written by Jani Lehto). First, the lyrics are presented and then you can read Jani’s comments regarding the writing process. The starting point of the lyrics was a dialogue line from a beautifully grey 2008 film “The Reader” (directed by Stephen Daldry). Near the end of the film the imprisoned main character, who is an illiterate woman convicted from war crimes, says to her ex-lover: “Love – what else there is between us and death?”. This melancholic observation leads the film to it’s sad ending. In “Last Song” this line is turned into a plea that opens the chorus. The rest of the chorus is pretty self-explanatory, but the line “i’ve stopped dreaming, i’m not okay” summarizes my own feelings (at the time of the writing) very well. The chorus and the overall atmosphere of the song also ove a lot to the greatest depressing songwriter of all times: Steven Patrick Morrissey. And especially to his song “Life Is A Pigsty” (from the album Ringleader of the Tormentors ). Oves in my mind, at least. The verses instead have been inspired by the novel “East Of Eden” (written by John Steinbeck). In the book there is an episode where the main character imagines ideal life with the woman he loves. In “Last Song” this idea of a great true love is also constructed from various bits and pieces I had overheard, been told, experienced or otherwise seen or heard (and written in my notebook) in 2008-2009. I have always felt that the best lyrics I’ve written are always the narrative ones. I have also experienced that having a song based on real events makes the musical work much more easier. The musical decisions (e.g. instrumentation and length) can be based on a question: “Does this help to project the picture and emotions that i wittnessed?” instead of just the usual “Is this sounding better or worse now?”. Of course “the format for nice pop songs” is lost immediately when using this method, but that has not been a goal for Sans Parade anyway. Usually I prefer that the subject (of the lyrics) stays behind the curtain. I’m mostly concentrating on describing things such as “how it looked and how it felt” and trying to avoid the “what actually happened”-factor. “A Ballet In The Sea” is an exception: the story contains elements like a rescue boat and helicopter. These leave no questions. First the beautiful sight to sea from a cabin (calm night and moonlight). Then the creeping doubt that something is wrong (why are so many big ships slowly steering in a circle in the middle of the night?). And finally the spine-chilling understanding of the situation’s hopelessness (a helicopter with a searchlight suddenly passing by at low altitude and a thought of the water temperature in late autumn). Besides the forementioned events, the one big influence for this song was a impressive scene in Hayao Miyazaki’s film “Porco Rosso” (from 1992). This scene takes place after an air battle and shows how all the dead pilots rise to heaven in their bullet battered biplanes. The only survivor of the battle is not able to steer his plane any higher and has no choice but to let his friends (and also enemies) all go, somewhere, up and away. So, Miyazaki’s extraordinarily beautiful interpretation of the fictional deaths changed, just a little, how I interpreted these real-life events. Soon there will be some production notes, analogue synthesizer stuff and lyric sheets in this blog. Meanwhile check our official website http://www.sansparade.com. Sans Parade’s debut single The Last Song Is A Love Song with the “b-side” A Ballet In The Sea is out now.